The reason for many cardiovascular problems as we age is the breakdown of the endothelium (the inner lining of blood vessels). 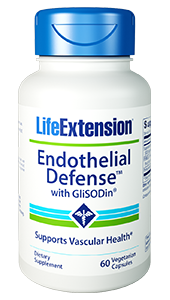 Life Extension Endothelial Defense with GliSODin helps with blood flow and other age-related changes. Pomegranate supports healthy blood flow. In a group of aging humans with risk factors for cardiovascular events, pomegranate or placebo was ingested on a daily basis. After 12 months, the mean intima media thickness improved 35% in the pomegranate group, whereas carotid blood flow worsened by 9% in the placebo group.2 Both groups continued taking conventionally prescribed medications. In another study on patients with ischemic coronary heart disease, pomegranate or placebo was ingested daily. After only three months, coronary artery blood flow improved by 17% in the pomegranate group, but worsened by 18% in the placebo group.3 A standardized pomegranate extract is one of the active components of Endothelial Defense. SOD protects against nitric oxide degradation. Aging results in a reduction of our body’s production of the critical antioxidant called superoxide dismutase (SOD). One consequence of SOD depletion is excess degradation of endothelial nitric oxide. An orally active superoxide dismutase called GliSODin® has been clinically shown to support healthy arterial function and structure while boosting levels of the body’s most powerful antioxidant enzymes (SOD and catalase).4-7 Studies show that carotid artery thickness increases by 0.04 mm every 10 years. 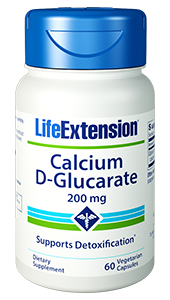 However, a 2007 GliSODin® study suggested that 2.8 years of supplementation may turn back the clock on 10 years of age-related changes due to carotid artery wall thickening.6 Endothelial Defense™ contains the patented GliSODin® in the identical dose. 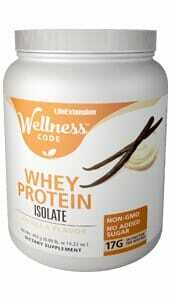 Take two capsules daily before breakfast, or as recommended by a healthcare practitioner. 1. Pomegranate juice consumption reduces oxidative stress, atherogenic modifications to LDL, and platelet aggregation: studies in humans and in atherosclerotic apolipoprotein E-deficient mice. 4. Phytother Res. 2004 Dec;18(12):957-62. 5. Intensive Care Med. 2007 Apr;33(4):694-702. 6. Eur Ann Allergy Clin Immunol. 2007 Feb;39(2):45-50. 7. Free Radic Res. 2004 Sep;38(9):927-32. 8. Altern Med Rev. 2008 Jun;13(2):128-44.